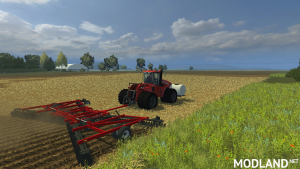 I present you with the More Realistic Case IH Wing Disk pack. There are two wing disks in this pack. 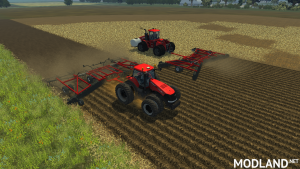 The first is the MR CaseIH 340 True Tandem wing disk. This disk is made for primary first pass tillage. 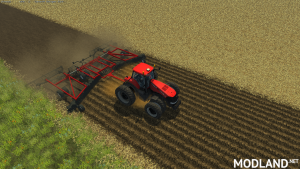 It can break up hard clods of dirt and prepare you field for the cultivator. This disk is specialized as a plow since with my experience it is a "first pass" tool. To operate, simply drive it out to the field attached to your favorite tractor. Once you are completely inside the field's boundaries, press X to unfold. After unfolding the disk will automatically lower itself and you can begin work. After the disk is unfolded, simply press the V key to raise and lower it. X- Unfold and Lower, Fold up. 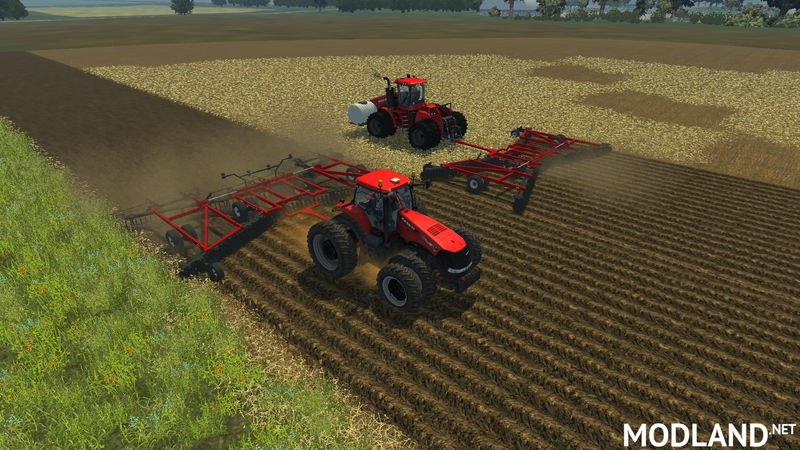 Next in the pack is the MR Case IH 330 Turbo True Tandem disk. This disk is made for shallow tillage and quick seedbed prep. This tool is specialized as a cultivator since it makes the ground ready for the drill or planter in just one pass. This one operates the same way as the 340 disk. X unfolds and lowers the tool, and once it has been unfolded, simply press V to raise and lower the disk. This pack MUST BE UNZIPPED and the two separate disks be placed in the mods folder. The MoreRealistic mod is required for this mod.